How does your city affect your health? Map reveals the healthiest – and least healthy – cities in the U.S.
(Natural News) It looks like it’s time to dust off those running shoes, especially if you live in Brownsville, Texas. The city was the least healthy in a map that ranked the healthiest cities in America. Wallethub, a personal finance website, drew up the map. San Francisco, California, was once again named as “the healthiest city in the U.S.” The city has the most running and walking trails. The map from Wallethub ranked 174 of the most populated cities in the nation, and their rankings were based on 40 different factors, such as the cost of a doctor visit, death rates, and fruit and vegetable consumption. While Kansas is not the poster child for health, Wallethub’s report named one of its cities with the lowest percentage of physically unhealthy adults. Even though it has one of the most affordable medical costs, Brownsville, Texas, was ranked as the least healthy city, followed by Laredo, Texas. 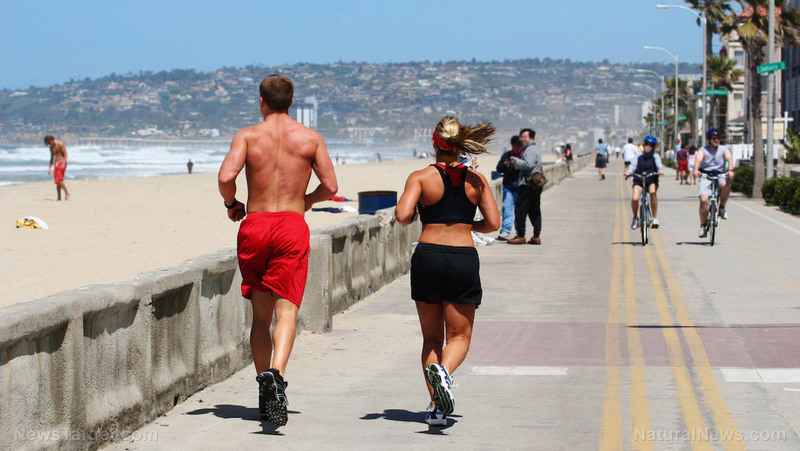 Wallethub then named San Francisco as the city with the most running and walking trails. The city ranked number five when it came to the most healthy restaurants, and it ranked top three with the lowest percentage of adults who did not consume enough fruits and vegetables daily. Back in 2017, Brownsville, Texas, was named the second least healthy city in the U.S. However, it is now the most unhealthy city. It’s also one of the states with fewer green space areas. Cities in Texas that were in the top 10 unhealthy cities in the nation include Brownsville, Laredo, and Corpus Christi. The state also ranked eighth for the highest adult obesity rates in the nation. At least 33.7 percent of the adult population in Texas was obese, according to the report. The state’s rating also went up from 21.7 percent in 2000 from only 10.7 percent in 1990. California’s residents are usually the healthiest, and three of the cities in the state were on the list of the top 10 healthiest cities in the nation. Five cities in California – San Jose, Anaheim, Santa Ana, Irvine, and Huntington Beach – were part of the top five with the lowest premature death rates, or deaths that occur before a person reached 75 years old. Three California cities were also included in the list of the top five cities with the highest percentage of physically active adults. On the other hand, the cities that had the highest premature death rates include Charleston, West Virginia; New Orleans, Louisiana; Huntington, West Virginia; Augusta, Georgia; and St. Louis, Missouri. Consume low-fat or non-fat milk or dairy products. Eat beans, fish, lean meats, lentils, and poultry for protein. Encourage the whole family to stay hydrated by drinking lots of water. Include lots of vegetables, fruits, and whole-grain products in your daily meals. Limit the consumption of saturated fat, sugar, and sugar-sweetened beverages or avoid them altogether. Serve reasonably-sized portions during meal times. You can learn more about how to get in shape at Slender.news.